A location to jot down my everything. 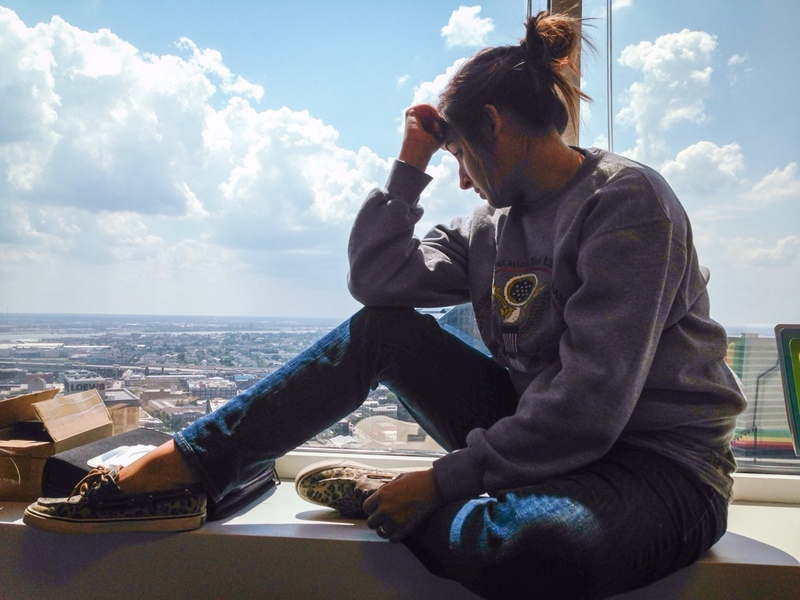 Last month I posted a photo blog called “Modern Day Spiderman” and described the time I took a picture from my office window that wound up being one of my all time favorite in my self proclaimed photography career. Oddly enough almost two years later I would take another favorite photo of the very same window. I couldn’t pass up the shot with the contrast of the sun shining on her and the shadow. The sky and the clouds just made it better. Too bad I had junk on my window sill that day but oh well. Since it wasn’t staged that is just how it had to come out. Okay, let’s talk about it. Let’s put all out in the open about Miley Cyrus. Everyone is STILL talking about Miley. Miley, Miley, Miley. Her VMA performance, her nakedness, her tongue wagging and licking inanimate objects. What has all this behavior produced? Non stop chatter about Miley. Everyone is watching what she is doing. Everyone is writing about her. Everyone wants her interview. Everyone is jumping to see the next video or hear her new lyrics. She has accomplished EXACTLY what she strived to do which is be relevant. How can you not see what she has done is hashtag GENIUS? Her VMA performance was the topic of water cooler talk, radio stations, news, blogs, websites, social media, everything and anything for WEEKS. And really it was NO BIG DEAL. It was the MTV VMAs. Not the Oscars. Not the Golden Globes. Not the Tonys. The MTV VMA awards. HUGE difference. The television station that has been playing the videos of half naked woman twerking for decades and now there is a live performance of it and all of a sudden its taboo? Robin Thicke’s Blurred Lines video has naked women all over it and was barely mentioned. However, Miley is naked on a wrecking ball and for Christ’s sake let’s get the President on the phone. How is this double standard even fair? OMG did you see Miley backing it up and twerking on Robin Thicke or her rubbing her foam finger all over him? Why don’t we talk about the MARRIED man who stood there and let it happen? Double standard. He easily could have walked away and sang by his audience. And lets talk about Mr. Robin Thicke. The same night the nation was up in arms about Miley’s performace Robin Thicke is at a VMA after party where he down right just about molests this girl in a photo op and it barely makes a ripple. The MARRIED man that did not know there was a mirror behind him when the photo was taken gets to skate by while MILEY gets berated regarding her VMA performance. How is that fair? Hashtag double standard. Miley’s performance was beyond smart, it was genius. Genius because everyone is talking about her, her album is selling, her videos viral, and she is relevant. Her 6 minute performance generated her millions and people can’t get her name out of their mouths. What she did is no different then older artists in their generation filming their shocking videos and making their own documentaries, i.e. Madonna. It gets people talking. It keeps them relevant. It keeps people waiting on their next move. Genius. Well its that time of year again: Flu season. Seems like every corner Walgreens are displaying signs out for the flu shot as well as radio stations playing commercials on different area locations you can get one. I’ve heard a commercial for a local hospital that went as far as providing flu shots via drive thru service this year. You don’t even have to get out of your car now! How convenient is that? Also convenient is that another New Orleans area hospital comes to my office building every year to administer them. MORE convenient than that? My company will pay for the cost of the flu shot for those folks who may be interested. So this to me sounds like a no-brainer. You will come to my place of work AND its FREE. Cha-ching. Sign me up. But every year when this service comes around to my building you hear the chatter of “Are you getting it?” “Did you go?” “No way! I’m not gonna get sick!” Yep. 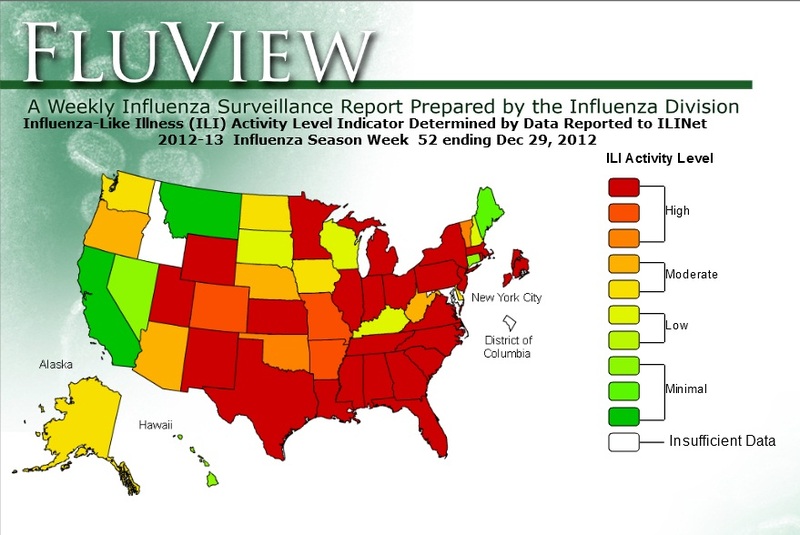 It’s crazy to me that in 2013 there is still a myth that if you get the flu shot …..you will get the flu. Negative, Ghost Rider. You will NOT get influenza should you opt for the shot. It is simply impossible. Impossible because the vaccine contains the dead virus. Dead. As in not living. A dead virus cannot infect you. Now there is a side effect of the vaccine that your arm will be sore around the area you were vaccinated. This, people, is just soreness. You do not have body aches from the flu. Secondly the the flu season also happens to be around the time that people get colds or respiratory illnesses. Should you get sick from a bug shortly after you received the vaccine, blame your co-worker that came to work with the sniffles. You do not have influenza. 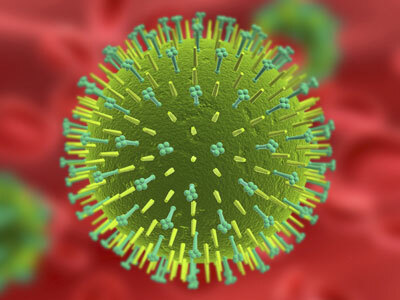 Every year thousands of people in the United States die from the flu and many more than that are hospitalized. So do yourself a favor. Get the shot. In the long run you will feel better about it and realize you were worried about nothing at all. And if you don’t get it, call it for what it is: you are afraid of needles, its against your religion, etc. Because when you say that your reason is you don’t want to get the flu, it is obviously not a good one. Click on the map to enlarge and check out your state risk. Thank you Linda Woolard for bringing to my attention that the NFL, a $9.5 BILLION/year industry, pays NO federal taxes. I was in disbelief as I read this information on a petition to change its status on Change.org. Are you kidding me? So basically while budgets for schools and public services are gutted and while Louisana tax payers paid 1 BILLION dollars to have the Superdome renovated, the NFL pays NOTHING into the system. Zero. Zilch. Nada. Now please do NOT get me wrong. I LOVE football and I LOVE my New Orleans Saints. I bleed black and gold. However, I think it’s tragic that this long overdo perk is still around. It all goes back to when the NFL was up and coming, the government saw a reason to give it a leg up and helped it out with non-profit status. That day is long gone and the NFL has thrived to become America’s richest sports league. The NFL doesn’t pay a dime but reaps hand over fist of the money it refuses to pay into. Just last year the Virginia Governor, Bob McDonnell, took $4 million of tax payer money and handed it to the Washington Redskins for the team to upgrade a workout facility. The Minnesota legislature took $506 million from its taxpayers (even though the state is facing a $1.1 billion budget deficit) to pay for a new stadium because the Vikings wanted it. Washington State taxpayers provided $390 million for Seattle’s CentryLink field paying for well more than half of the cost. Oh and let’s not forget to mention Jerry Jones would owe at least $6 million a year in property taxes for his stadium. Instead he got a sweetheart of a deal and doesn’t get a property-tax bill, resulting in Tarrant County having to tax the property of average people more than it otherwise would. And the list goes on and on and on. Thankfully Senator Tom Coburn introduced a bill that would strip the NFL and other organizations from its tax exempt status. He estimates such a move could generate 91 million dollars of federal revenue every year! And we couldn’t use that money why?? The NBA and MLB gave up their right for non-profit in 2007. It’s time the Nonprofit Football League follows suit. Marriages, Abominations, Bible Verses, Oh My!! The Story Of A Guy With Too Much Time On His Hands. BrakeThrough Media on the road, off the cuff.